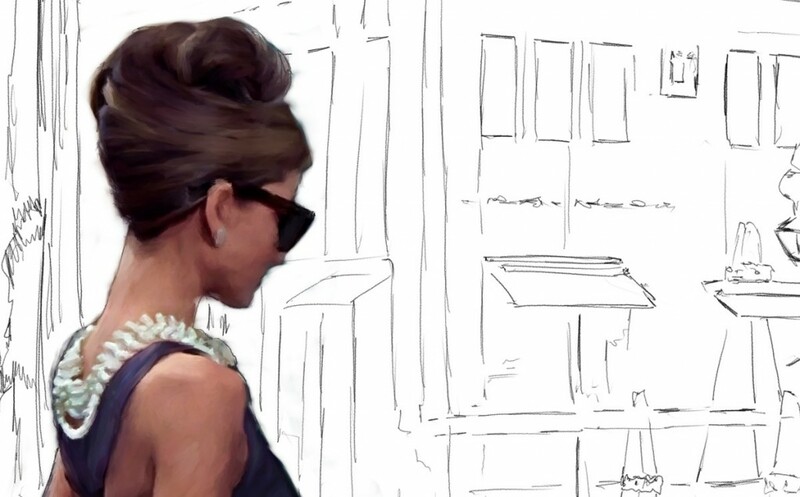 There are delicious, simple and funny movies, but they highlight for me Breakfast at Tiffany’s. Actors comedy based on the novel by Truman Capote and masterfully directed by Blake Edwards. 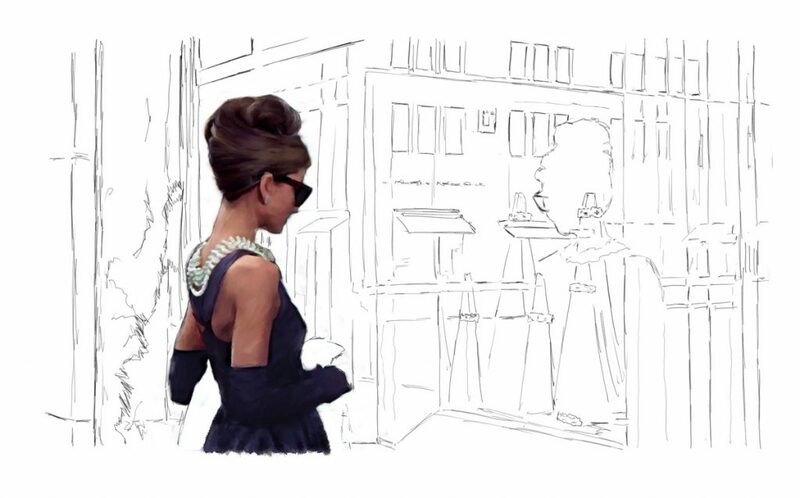 In this film I will never tire of seeing the first 3 minutes that Audrey Hepburn was to have breakfast facing the impressive showcase of Tiffany’s. I like so much the beginning of this film, this painting is the first of three that I will make soon. I love Audrey Hepburn by her simple sensuality and way of gesturing to the funniest situations in this film. Hope you like this attempt to capture the magic of Truman and Blake in my painting.